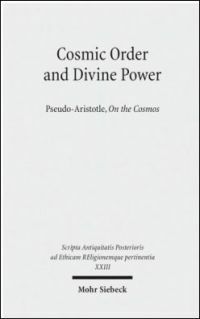 This is a book about the reception of Aristotle's Categories from the first century BC to the second century AD. The Categories does not appear to have circulated in the Hellenistic era. By contrast, this short but enigmatic treatise was at the center of the so-called return to Aristotle in the first century BC. The book under review tells us the story of this remarkable reversal of fortune. The main characters in this story are philosophers working in the three main philosophical traditions of post-Hellenistic philosophy. For the Peripatetic tradition, these are Andronicus of Rhodes and Boethus of Sidon. For the Academic and Platonic tradition, Eudorus of Alexandria and Lucius. For the Stoic tradition, Athenodorus and Cornutus. A supporting role is reserved to the following interpreters of the Categories: Aristo of Alexandria, Ps-Archytas, Nicostratus, Aspasius, Herminus, and Adrastus. In broad outline, the story told in the book goes as follows: Andronicus of Rhodes rescued the Categories from obscurity by deciding to place it at the beginning of his catalogue of Aristotle's writings (chapter 2). This decision helped to generate an interest in this treatise. Eudorus of Alexandria exemplifies this interest by offering an ontological reading of the Categories (chapter 3). Lucius raised objections to this reading from a Platonist standpoint (chapter 4). These objections added to those advanced by the Stoics (chapter 5). Boethus of Sidon responded to Lucius' objections as well as to those advanced by the Stoics by engaging in an in-depth and line-by-line commentary on the Categories (chapter 6). Boethus' response entailed a more nuanced reading of the Categories. For him, the Categories are concerned with "words significant of things, qua significant". If Andronicus' decision to place the Categories at the outset of his catalogue of Aristotle's works was momentous, Boethus' interpretation of this treatise was immensely influential. Peripatetic philosophers like Herminus whose activity is to be dated to the second half of the second century AD adopted it (chapter 7). The most important and obvious virtue of this book is that it provides a compelling narrative to tell the intricate story of the rediscovery of the Categories and its subsequent appropriation by philosophers working in different traditions. There is a wealth of information in the commentary tradition about the early reception of the Categories and even the expert reader is often left wondering how best to organize it. This book offers a clear and compelling presentation of the surviving evidence. It fills a significant lacuna and marks a considerable step forward in scholarship. Hereafter I will focus on Andronicus of Rhodes and the role that he may have played in the early reception of the Categories. Andronicus is often credited with an edition of Aristotle's writings that was instrumental to the so-called return to Aristotle of the first century BC. 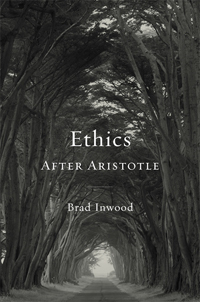 What he accomplished as an editor of Aristotle remains difficult to establish (an overview of the problems associated with his putative edition of Aristotle is offered in Appendix 2: 219-228). For the story told in this book, however, his most significant and lasting contribution was his activity as organizer of the Aristotelian corpus. Andronicus placed the logical writings at the outset of the Aristotelian corpus, and the Categories at the head of the logical writings. 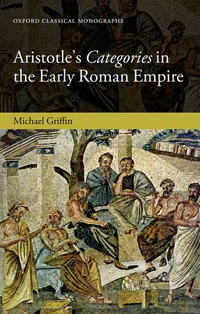 The book argues that the prominent position of the Categories in the Aristotelian corpus played a key role in the post-Hellenistic surge of interest in this work. It also argues that this position reflects a certain understanding of the role that the Categories occupies in Aristotle's philosophy. More directly, Andronicus saw in this treatise a useful introduction to Aristotle's theory of predication, aimed at beginners in Aristotelian logic. He argued, against some unnamed predecessors, that the Categories should be detached from the Topics. He considered this treatise a preliminary to the theory of scientific demonstration offered in the Analytics. The book does not wish to argue that Andronicus almost single-handedly rescued this treatise from obscurity. On the contrary, it argues for the existence of a Stoic engagement with the Categories that is independent of, and possibly prior to, Andronicus (Athenodorus). It also shows that Eudorus of Alexandria, an Academic philosopher active in the middle of the first century BC, may have developed his interests in the Categories independently of Andronicus and for different reasons. Still, the more emphasis is placed on the evidence of an independent engagement with the Categories, the more difficult it becomes to claim that Andronicus' activity as organizer of Aristotle's writings was the turning point in the reception of this work. A tension can be felt in the book between a narrative that aims to trace the fortune that the Categories enjoyed in the post-Hellenistic world back to Andronicus and the acknowledgement that the surviving evidence may suggest a more complex reality. As the author explains in the Preface, this book grows out of a doctoral dissertation whose aim was to solve the historical puzzle of the spectacular surge of interest in the Categories of the first half of the first century BC. I suspect that after having read this book many will think that the puzzle is still there. I can say this without taking anything away from this very fine book. The truth is that the information we have is frustratingly scarce. We know too little about the main characters in our story. In some cases, we have no precise dates for their activity. Consider the case of Andronicus of Rhodes. According to one line of reasoning, his activity is to be dated to the seventies BC. According to another, it should be dated after Cicero's death in 44 BC. Obviously, it would make a great difference if we could safely date his activity to the first rather than the second half of the first century BC. The book provides a philosophically perceptive and historically accurate reconstruction of the extant evidence for the early fortune of the Categories. It offers a complete and in-depth study of the reception of a key text for the philosophical discussion in the first century BC. As such, it is both unique and comprehensive. 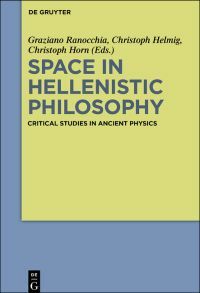 It is a must-read for scholars with an interest in post-Hellenistic philosophy. Scholars working on the reception of the Categories will find in this book an excellent platform for their own research.